not overproduced at all, this is beautiful as usual - and it has extremely powerful single potential, great song, and it goes a bit techno towards the end, florence really experimented here and it payed off perfectly.<br><br>Edit: It has indeed been chosen as the 4th single! Ich verstehe dein Kommentar nicht ^<br><br>Sehr zart beginnt sie, um dann in große Jubeleuphorie zu fallen. Im Original fantastisch. Wunderbare Mischung aus eher ruhigen Strophen und einem einzigartigen, gewohnt bombastischen Refrain, der richtig atmosphärisch daherkommt. Knappe 6 hier.<br>Im Calvin Harris-Remix geht einiges von dieser Atmosphäre verloren, da der Song hier in ein relativ beliebiges Dance-Gewand gepresst wird. Macht den Titel nicht kaputt, aber klar schwächer. Gute 4.<br><br>Insgesamt eine solide 5. Original - 5*<br>Calvin Harris Remix - 6*<br><br>Brilliant stuff. 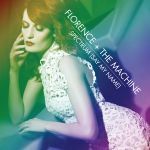 Glad this will be Florence's 3rd Top 10! When I first heard the original I thought it was good but nothing more and then I heard the Calvin Harris remix and I found it great and even enjoyed the original more because of it.<br><br>This is amazing. While the original was more like their other material the remix is more like Calvin's but still manages to maintain what made the original good in the first place but adds house elements to it which work well.<br><br>4 stars for the original and 6 for the remix. I'll give it 6 though as I really like the remix a lot. The original is awesome.<br><br>The remix is average at best.<br><br>Rating is for original. <br>Der Song ist gut, haut mich aber jetzt nicht vom Hocker.